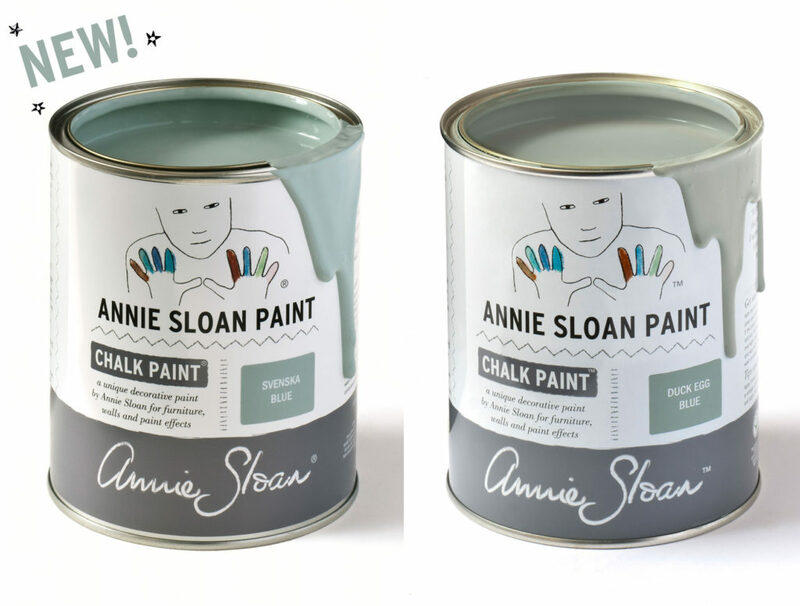 Welcome to our new feature, the Annie Sloan Chalk Paint® Color of the Month! Each month we’ll share one of our favorite Chalk Paint® colors and some fun projects! 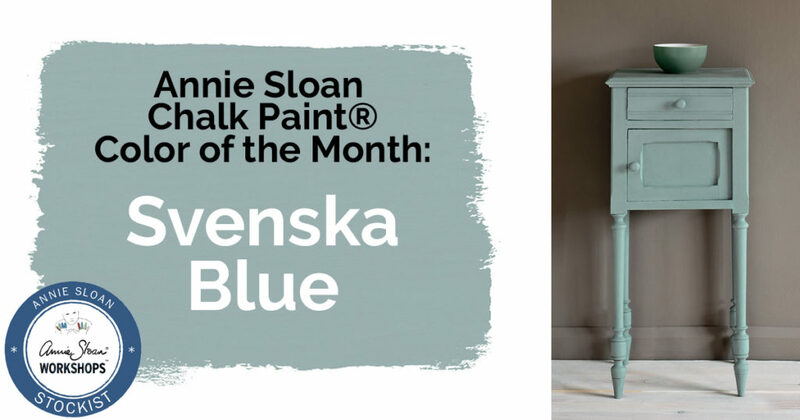 This month’s feature is one of the newest colors in the Annie Sloan Chalk Paint® line: Svenska Blue. The cool blue-gray toned Svenska Blue paint is named after Sweden (Svenska is the Swedish word for Swedish). The color brings to mind Swedish manor houses in the 17th and 18th centuries. Svenska Blue is the new formula of the old US Duck Egg color that you may be familiar with. If you’ve bought Duck Egg in the US in the past and want to replicate that look, you’ll want to use the new Svenska. Svenska Blue has more of a blue tone than the brand new green-tinged Duck Egg Blue. Here’s a side-by-side comparison of the two paint colors. Svenska Blue is available at all Adjectives locations. Swing by the stores to see Svenska Blue and all the gorgeous Annie Sloan Chalk Paint® colors in person! Did you know that Adjectives is the exclusive Central Florida stockist for the original UK formulation of Annie Sloan Chalk Paint®? We also stock The Colourist Bookazine! Bigger than a magazine, but smaller than a book, this bi-annual publication features design inspiration, Chalk Paint® projects and more!